Magnificent Charleswood, Split 4 Level home in PRIME LOCATION! Good size kitchen with new flooring, ample cupboards with patio doors to a 2-tier deck and pond! 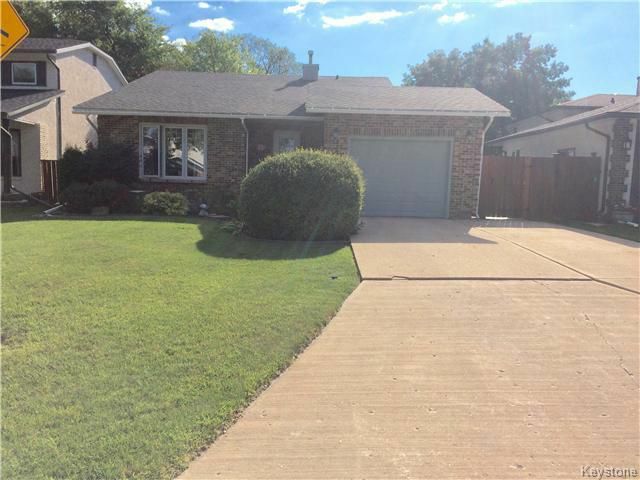 Beautiful landscaped fenced yard with a stone patio! Living/dining room combo with new laminate hardwood flooring! Master bedroom with new remodelled ensuite bath! Two other bedrooms on this level. Family room on lower level with a cozy fireplace and extra fourth bedroom! Man cave on next lower level with lots of room big enough for a pool table and/or gym etc. Laundry room on this level also.Dual pane low e argon windows 3 years old, new roof only 2 years old and two levels freshly painted! Attached single garage with insulated walls! Close to Assiniboine forest and park just at the end of the street. Safeway 2 blocks away & schools and transportation within walking distance. Very well maintained and Very private! Move-In-Ready! MUST SEE!